I found an old key to a NY apartment and was inspired to make it a necklace. 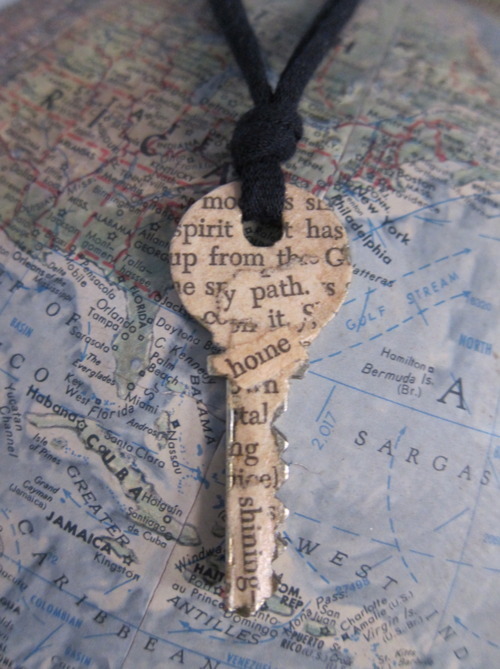 Simple DIY decoupage job: I tore words from the yellowed pages of a thrift store paperback copy of a favorite book (“The Awakening” by Kate Chopin) and glued them on one side of the key. The key is hanging from a chord made of a strip of black jersey from an old T-shirt.